A There is some debate about this topic, so be your own judge by reviewing the contents of this thread. Q What is the castle code? A Te castle code was a prank that the player Swabia used to trick people into hiring his crappy allies. He told his victims that if they hired his allies, he would PM the castle code to them that would allow them to upgrade their castle. This was before you could upgrade your castle. He was banned by the developers for lying about this ficticious game feature. Last edited by Imitation-Cheese on Jan 30 2014, 2:32am, edited 3 times in total. Last edited by Imitation-Cheese on Feb 20 2014, 12:19am, edited 6 times in total. Last edited by Imitation-Cheese on Jan 19 2014, 9:42pm, edited 1 time in total. Last edited by Imitation-Cheese on Jan 19 2014, 9:47pm, edited 2 times in total. 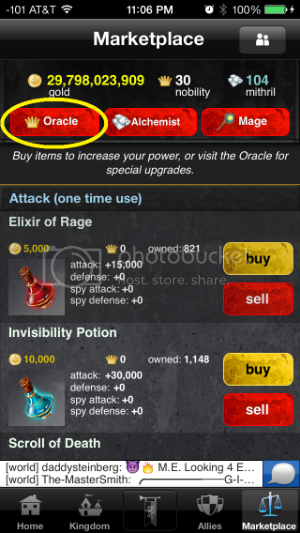 Go to the Marketplace then select Oracle. Then select "a name change." 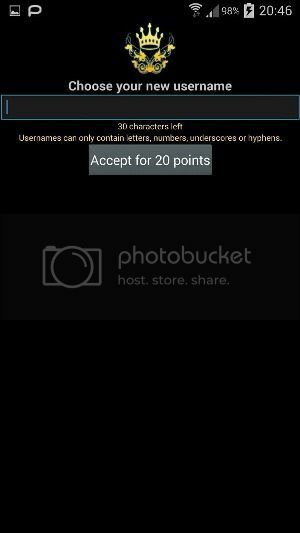 The enter your desired username and select "Accept for 20 points." Last edited by Imitation-Cheese on Feb 20 2014, 12:17am, edited 2 times in total. 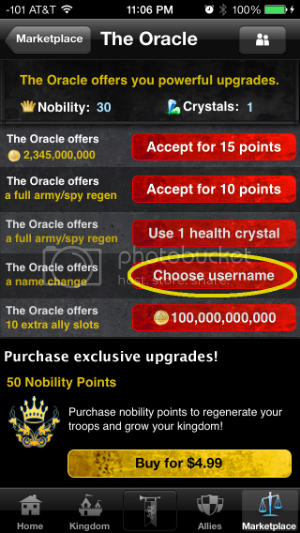 Q OK, I found a username that I want, but it says it’s not available, even though no one else has that name! Help! A This sometimes happens when a username either contains a bypass or has been used by another person in the past. Typically, a username is unavailable for at least one year after a person changes their name or resets their account. If you want to find out if/when a particular username will become available, send an email to support@athinkingape.com, requesting more information about the username. Be sure to include which game you're playing and what your current username is. Last edited by Imitation-Cheese on Jan 30 2014, 2:32am, edited 2 times in total. 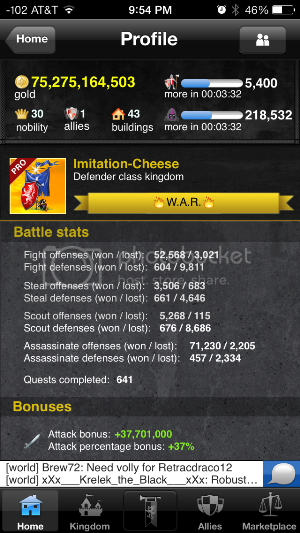 Your battle stats give you a detailed snapshot of your wins and losses of each attack type (except potions). The number to the left is how many of a particular type of attack/defense you won. The number on the right is the number of losses for that particular type of attack. Each type of attack is listed by offense and defense. Offense means it is an attack that you initiated. Defense means it was from another player. As you can see in the SS below, your stats appear differently to other players. There is less detail. The only two stats you see are battles won and battles lost. The only actions counted in this view are troop actions. 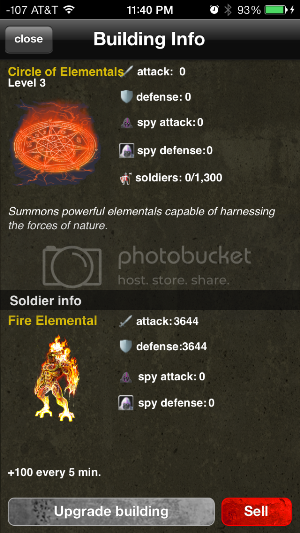 Spy actions do not count on your battles won/lost profile page. Here, battles won is the sum of your fight offenses won and your fight defenses won. Similarly, your battles lost is the sum of your fight offenses lost and fight defenses lost. In this example, you can see that my battles lost come from my fight defenses lost, which is 9,811 and fight offenses lost, which is 3,021. 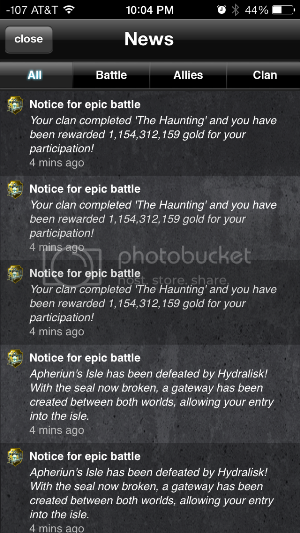 Add those two numbers together, and you will get my battles lost of 12,832, as shown below. Last edited by Imitation-Cheese on Jan 19 2014, 11:24pm, edited 5 times in total. Your hire price has no relevance to you or your ability to play the game. Avoid the pitfalls of hire price obsession. Last edited by Imitation-Cheese on Jan 30 2014, 2:34am, edited 2 times in total. Your newsfeed contains important information about recent activity related to your account, allies, and clan. The notification limit for your newsfeed is 50. Keep this in mind later for OSW strategy, as being able to see who hired your allies in a strip is important. 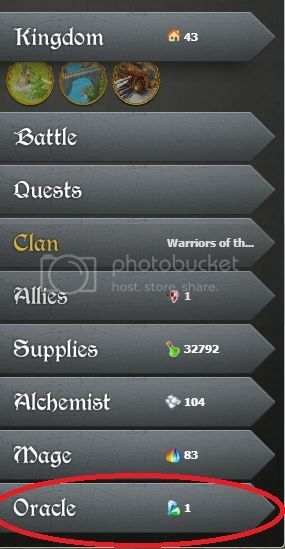 As you can see in the SS below, there are four news categories: All, Battle, Allies, and Clan. You can view all news at the same time, or you can sort it by category. The battle category will show you any incoming hits you've had. Be aware that if an opponent performs a successful spy action against you, you will not be able to see who did it. You will simply be notified that "someone" stole/assassinated/scouted you. 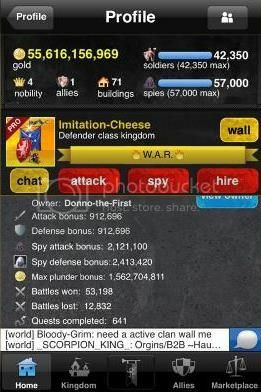 Your battle newsfeed will also give you a quick link back to the attacker's profile for ease of retaliation. The allies category will show you a list of all notifications related to others hiring your allies as well as when you've been hired. 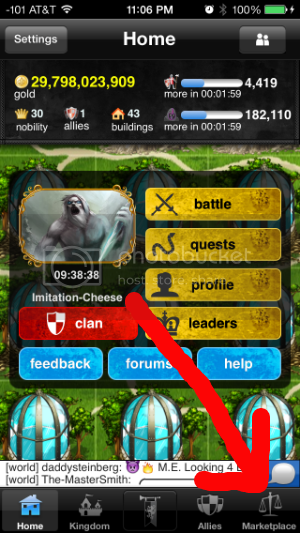 Finally, the clan tab will show you a list of clan-related notifications, such as change of clan ownership, initiation/completion of an epic battle, and war initiation/completion notifications. Last edited by Imitation-Cheese on Jan 19 2014, 11:36pm, edited 2 times in total. You may sell any building other than your castle. Below is a SS of the screen you'll see when you view your building. If you click on "sell," you'll get a confirmation box pop-up shown below. The warning for getting a partial refund is to inform you that you will not be refunded the entire price of what you originally paid for the building. 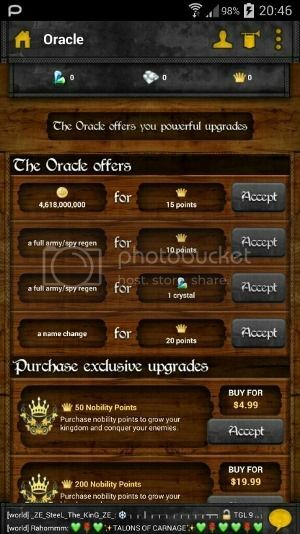 The building sale refund rate as of the writing of this post is 20% of the total you spent on the building, including any upgrades. 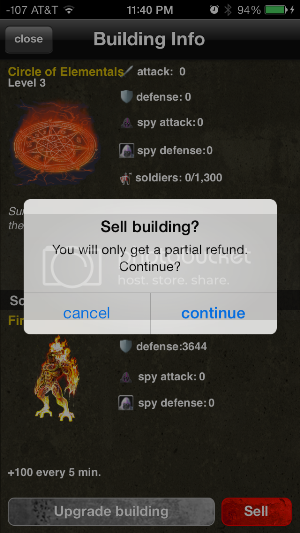 For more details about exact refund rates for each building, refer to Wulf's building thread. Last edited by Imitation-Cheese on Jan 19 2014, 11:48pm, edited 2 times in total.